Today was eventful. And I say that because for me, it’s been one long 36-hour day. I got on an airplane from Boston à Lyon at 4:35 p.m. on Friday, June 29th. I arrived in Frankfurt, Germany at 5:35 a.m. on Saturday, June 30th. I then arrived (after a grueling layover) in Lyon at 11 a.m. that same day. Granted, I did sleep for that whole 7-hour flight from Boston to Frankfurt, but it was more of a nap due to incessant baby crying, two snacks and a meal on the plane and constant hot towel offerings. Thank you, Melatonin and Lufthansa. 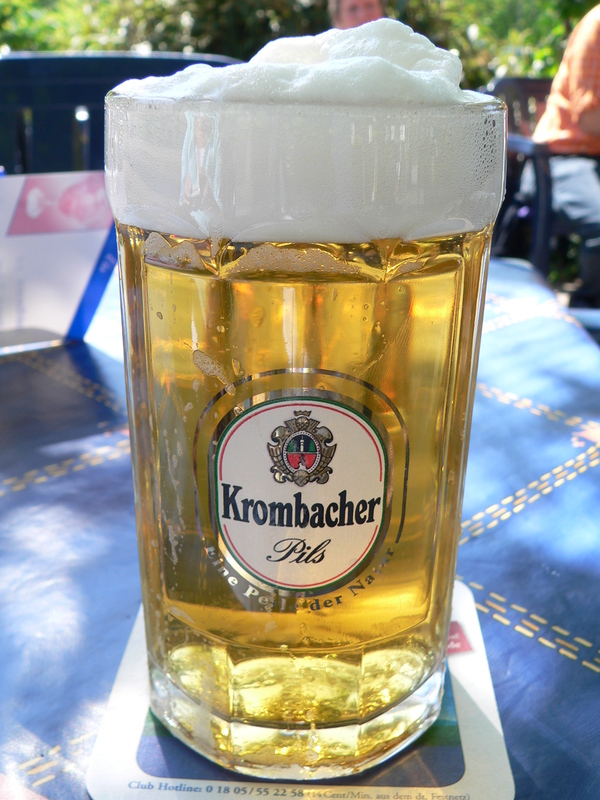 But the best part of the journey over to France was easily the Krombacher beer we had in the Frankfurt airport. Upon arriving a Lyon, we all went to the grocery store, came home and showered or napped and then went out in search of food. We went to a Café only to realize that the French don’t do dinner until around 7-7:30 p.m. so we had to find a random sandwich stand. As five of us girls sat and ate our sandwiches, we’re pretty sure this old man either said we was going to dump his wife for us, that he wanted us to propose to his girlfriend for him, or that he was going to propose to us and his wife. Then he told us to call him. We understood that gesture. And now I’m in my room watching The Big Bang Theory and neglecting to do the reading for our class on Monday…I mean tomorrow. Oops. Hello! I love long trips, just because they’re so fascinating, although having said that, I hate not being able to move around! I remember on a flight to France one (thankfully only an hour from where I am) a woman was trying to teach her not-yet-understandably-vocal child to speak. As we flew over the scenery, she was picking out words, ‘Look, it’s an x! can you say ‘x’?’ and this was fine until she started picking out ridiculous words, ‘can you say, ‘estuary’?’ I was just like …..the child can barely speak, it’s not going to be able to say estuary!